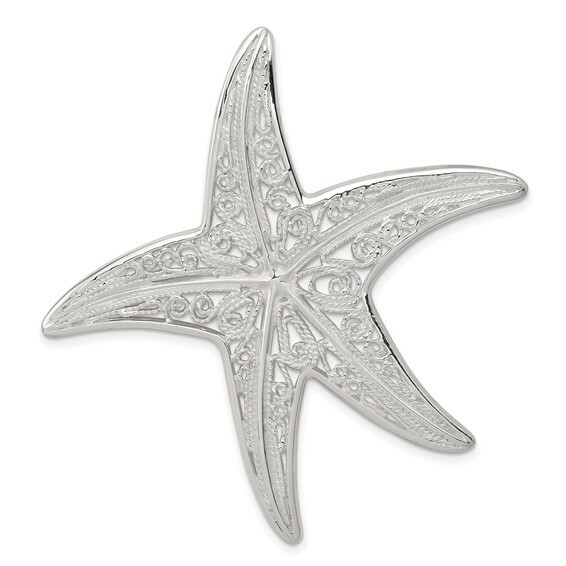 Sterling silver fancy starfish pendant has an open back and hidden bail. Dimensions: 2 inches tall by 2 inches wide. Fits up to 4mm chain. Weight: 8.8 grams. Import.